There are many fish in the sea, and who doesn’t like having options? Seafood is a beloved delicacy and for good reason. Azzopardi Fisheries – popular providers of fresh fish in Malta – have compiled a list of the health benefits of seafood. And as they’re backed by research, there’s nothing fishy about the following facts! As squid, better known as calamari, holds an abundance of antioxidants which protect us from free radicals (hazardous molecules) we are exposed to daily, it can help prevent and fight cancer. Moreover, it is one of the few shellfish that is low in carbohydrates and can even lower cholesterol levels. Tuck in! Oysters are delicious molluscs that provide the human body with a number of unique nutrients and minerals that have great health benefits. These include, among many others: boosting metabolic activity (which aids in weight loss), increasing tissue repair and growth, lowering cholesterol levels, reducing blood pressure, improving immune functions and aiding in wound healing. Shrimps are a low-fat source of protein, which is an essential dietary component needed to build and repair tissues. However, the most important benefit of shrimp is the multitude of vitamins (A, E, B6 and even vitamin B12) and nutrients it contains, namely: iron, calcium, sodium, phosphorus, zinc, magnesium and potassium. Prawns are a good source of unsaturated fat, which when eaten in place of saturated fats, can help improve your blood cholesterol levels. Prawns are also a good source of omega-3 fatty acids which are known to reduce inflammation and your risk of heart disease, cancer, arthritis, as well as help with brain function. 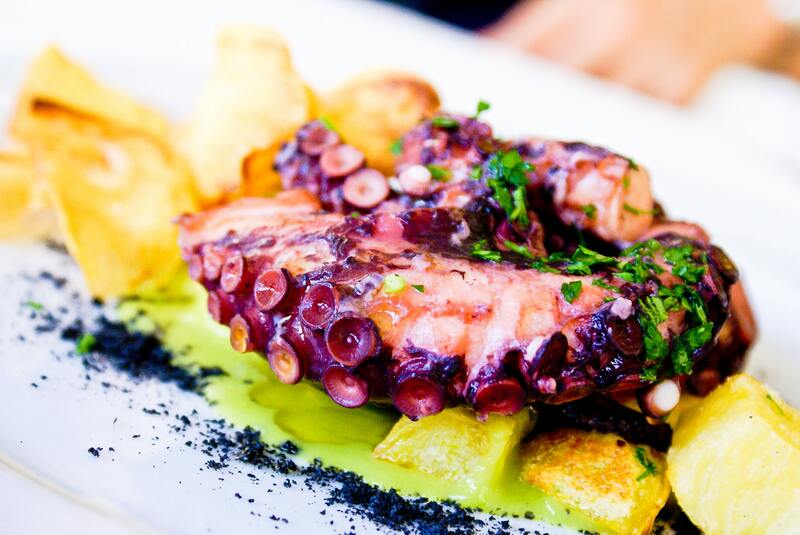 Octopus is great because it contains very low amounts of saturated fats, which makes it a great option for individuals trying to lose weight. It promotes healthy skin: Your skin’s natural glow is affected more by what you eat than the creams you apply to it. And not only does eating seafood regularly enough help preserve moisture in the skin, the omega-3 fatty acids also serve as protection against the sun’s UV rays. It helps maintains eyesight: Fish and shellfish not only boost your night vision, but can also help keep the eyes bright. Ophthalmology studies also suggest that those who consume omega-3 fatty acids are less likely to suffer from macular degeneration – a disease that can result in the loss of vision. Yield the benefits of the fruits of the sea! Now that you have read up on the amazing health benefits of seafood, head over to Azzopardi Fisheries in St. Paul’s Bay. From crustaceans to molluscs, you will find a great selection of fresh fish and seafood in Malta. One Response to "Types of Seafood and their Health Benefits"
I really liked what you said about getting the octopus. Getting something that contains low amounts of saturated fats is great if you want to lose weight. My fiance would love this tip as he looks into this type of weight loss and looks for a seafood restaurant to go to.